Today the new Canon EOS 7D Mark II DSLR arrived at the office via B&H for a field test. For shooters looking for the 'Best Bang for the Buck' the Canon DSLRs lack many desirable features compared to the GH4 or Sony A7s, but many people will still agree the Canon DSLR color profiles are hard to beat which makes it difficult to move away from. Yes, there are thousands of people staying busy shooting on Canon DSLRs. For wedding and music videos the 60p slo-mo feature is a must have, but to get that Canon shooters have been stuck with just 720 resolution. The only reason the new Canon 7D Mark II is so interesting today for these shooters is because they finally have the option of true 1080p 60fps. For shooters looking to stay with the Canon color profiles and workflow, the only Canon DSLR(ish) camera to offer 1080/60 is the latest Canon C100 Mark II selling for $5500 dollars. 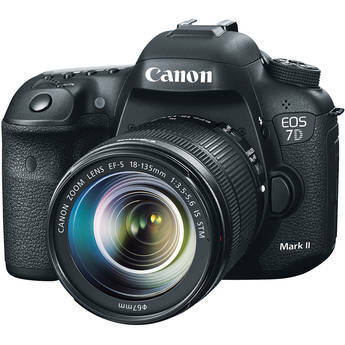 The new Canon 7D Mark II now puts this feature in reach selling for $1800 dollars. My goal is to put it side by side to the a Canon 5D Mark III 720/60fps (upscaled to 1080) vs Canon 7D Mark II 1080/60fps. Of course when compared to a 5DM3, you do lose that sweet Full Frame sensor. Worth it? We'll just have to find out after testing it this week. Obviously there seems to be a boat load of shooters working with at least the original Canon C100 so I would have to say this camera could be a perfect compliment. Posted in dslr video. 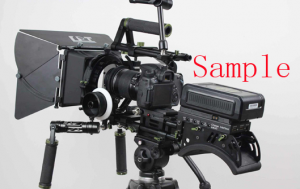 Tags: canon 1080 60fps, Canon 7D Mark II, canon 7d mark II video samples, Canon color profile, canon dslr on November 17, 2014 by Emm. 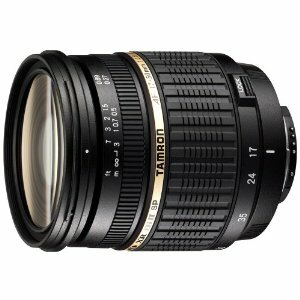 Tamron Lens Rebates Canon Nikon. Posted in Lens Talk. 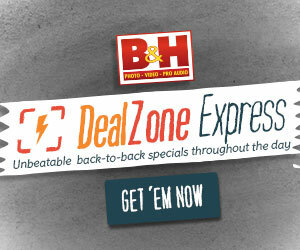 Tags: canon dslr, canon rebates, nikon dslr, tamron lens, tamron rebates on September 23, 2011 by Emm. Just a few days after I decide to pick up the redesigned shoulder pad, they show off their V Mount power solution. 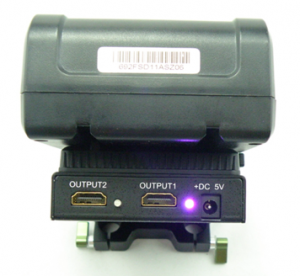 If you're not familiar, these types of adapters are virtual power stations for your entire rig. 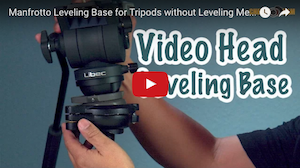 Using high powered V Mount batteries (like Sony or Anton Bauer), you can power up all the mounted accessories from LCD Monitors, LED lights, Portable audio recorders, and even down to juicing up your camera. 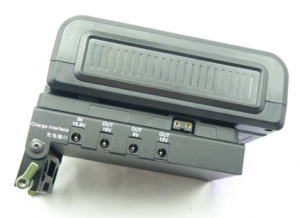 The V Mount battery can be quickly swapped out with another to keep you running all day instead of having to deal with multiple battery types and chargers. This setup can also act as a counterweight on rigs, so instead of having useless dead weight, you've got a functional piece of gear. This V Mount power station has a built in HDMI splitter so that you can run two monitors, (2) 12V outputs, (1) 7.2V output for your Canon Camera, (1) 5V out, and even has (1) 5V USB port out to charge your cellphone. 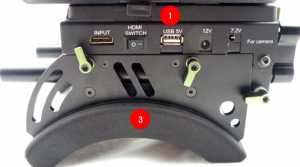 The kit comes with (1) V Mount battery, (1) V Mount battery plate (which also acts as the charging station for the V Mount battery), and the redesigned Shoulder Pad (the one I just bought). 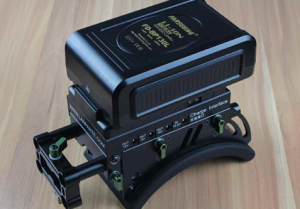 If you've shopped for DSLR Rig V Mounts + Battery Packs, this kit is very interesting. Additional close up images and information following the jump (click here). Posted in dslr stabilizer, Videography Gadgets. 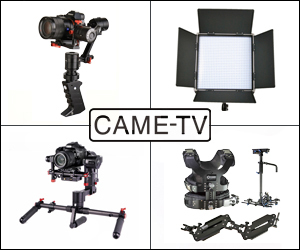 Tags: canon dslr, dslr rig, hdmi splitter, shoulder pad, v battery, v mount on July 9, 2011 by Emm. Most DSLR video guys would never notice this problem, but for photographers, it's something that happens pretty often. If you've been doing long exposures or dark images and have been seeing some stray / hot / or dead pixels, here's a tip to try before sending the camera in. This has been implemented in DSLR cameras for a very very long time and is a way to remap these pixels (hide the bad ones). Is this some type of hack job? Actually, no. Many cameras will do this automatically on start up or shut down, and it's almost impossible for any chip with millions of pixels to be 100% perfect. 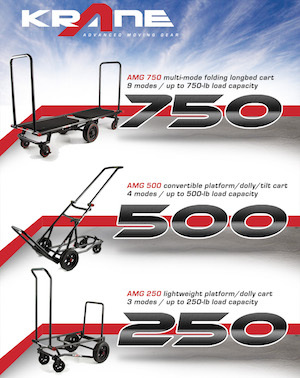 Here's how you do it. First remove any lens on the camera and place the body cap. You can actually do this with a lens, but you're more prone to 'light leaks'. Place the DSLR Body cap on and for safe measure, you might want to cover it again with a dark cloth, tshirt, or dark blanket. You basically want to keep any light from leaking into the camera while performing the cleaning. 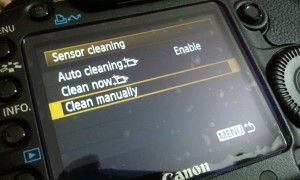 Go to the Menu > Select Sensor Cleaning > Manual Clean. The Mirror flips open, the camera basically should expect every pixel to be completely black, but if it's finding some white or red ones, it should remap them. After about 30 seconds, turn the power off on the camera. Now go out and test out your long exposures or dark imaging to see if those same hot pixels still show up. Here's another tip. If you plan on buying or selling a DSLR, you can also perform a test against your sensor to see these stray or hot pixels. You can leave a lens on the camera, but just cover it up completely to prevent light leaks or sit in a very very dark room. Set the lens to 'Manual Focus', set ISO to the lowest like 100, shutter speed to say 1/60th, and aperture doesn't really matter. We're not doing long exposure here, because we don't want to confuse a Dead pixel with ISO noise. Next, take a picture. The picture should come out 'mostly' black, but this test will show some stray red or white hot pixels (unless it's already been remapped which is OK). If you're shopping for that camera, and you can't seem to get rid of those stray pixels, consider if they are so bad they would render your work useless. Again, since HD video doesn't actually use all the pixels by the time it's resized down, Video shooters may not notice something like this as easily. 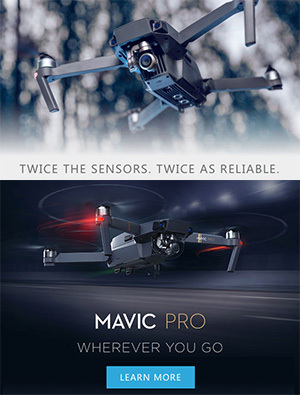 Posted in Equipment Reviews, Firmware Updates, Lens Talk, Photography Gadgets, Random, Videography Gadgets. 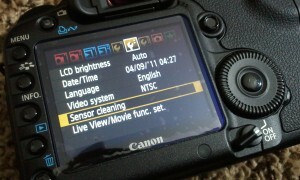 Tags: canon dslr, fix dead pixel, fix hot pixel, stray pixel, white pixels on April 9, 2011 by Emm.